Many of us have acne as it is a commonplace skin problem. Perhaps to some, it’s like a curse because after the little bumps finally go away, it can leave a spot or scar. Scar and spot treatments are ideally avoided. They are often expensive and invasive and can come with their own harmful side effects. Acne can affect a person’s self-esteem because acne can make you feel different and unattractive. You may have tried many facial washes and natural remedies, but nothing seems to be working. Ideally when you understand more about acne and your skin type, you will have an easier time finding a new product. Acne is aggravating. It is a chronic, inflammatory skin problem that causes redness, pimples, spots, and scars. 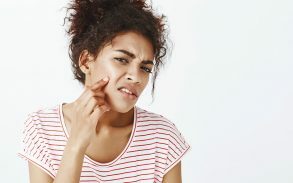 As we all know, acne is often connected to our hormones. Our skin regenerates by itself. 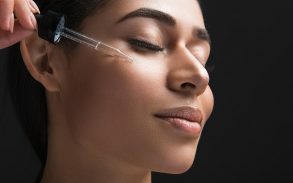 This means when old skin cells die, new fresh cells replace them. With hormonal changes, there is an overproduction of sebum. Sebum a natural oil produced by the skin to keep your skin moisturized. Excess sebum or dead skin cells can accumulate in the pore and cause a clog. The clog will then lead to the growth of bacteria and development of a bacterial infection, and eventually acne. Your body responds with inflammation and swelling. Acne can develop on your face, back, neck, chest, etc. One of the main reasons that people experience acne is hormonal shifts. This is why during our teenage years, when puberty makes androgen hormones increase, we experience some of our first breakouts. Women also experience this shift during PMS and menstruation. Genetics are another primary reason why some people have acne-prone skin and others do not. If your relatives or your parents had acne, you have a higher risk of getting it too. Air pollution, including chemicals, smog, and free radicals can mess with the natural oil that protects the surface of our skin. Imagine dirt, dust, and debris interacting with an oily surface. As you have an oily face, it will cling, leaving your skin dirty and your pores clogged. Stress is another possible trigger for your acne, according to Dr. Friedman. Corticotropin-releasing hormone (CHR) is a stress-related hormone that can cause acne. It merges with the receptors in the skin’s sebaceous glands. This can lead to overproduction of oil in your skin. Stress could lead to lack of sleep which can also trigger your acne breakouts. 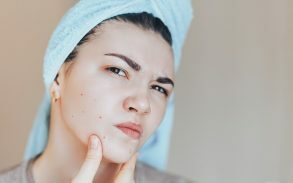 Research shows that there is a connection between diet and acne. It is said that refined carbohydrates, sugar-sweetened beverages, dairy products, chocolates, and spicy foods can cause acne. This is because these foods can increase the insulin level which, in turn, boosts oil production. Identifying the different types of acne is key to better treating acne. Acne can be categorized under two qualifiers: inflammatory and non-inflammatory. Papules are tender, red, small bumps that do not contain pus. A papule forms when there is an increase in oil covering your pores. A papule turns into a pustule. Pustules are red, small bumps. Unlike papules, pustules contain pus or fluid at their tip that can grow bigger when irritated. They occur when the skin is inflamed due to oil and bacteria trapped in your pores. Nodules are considered a severe type of acne. They usually form underneath the skin and remain intact deep in your skin. They do not typically contain pus, but are painful to the touch. Cystic acne is a severe type of acne that also resides deep underneath your skin. It appears as large and painful bumps. Unlike nodules, a cyst is pus-filled. This type of acne almost always results in scarring. Blackheads (open comedones) are a mild type of acne that is uninfected. They are small, dark bumps. Whiteheads (closed comedones) are closed clogged follicles that appear as white bumps. When finding a treatment for your acne, you should always consider what type of skin and type of acne you have. 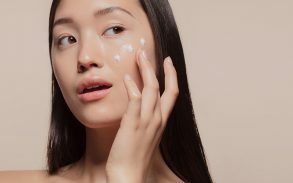 You should use a product that can inhibit the oil production, eliminate the growth of bacteria, and encourage the shedding of skin cells without clogging pores. Salicylic Acid works to prevent clogged pores. 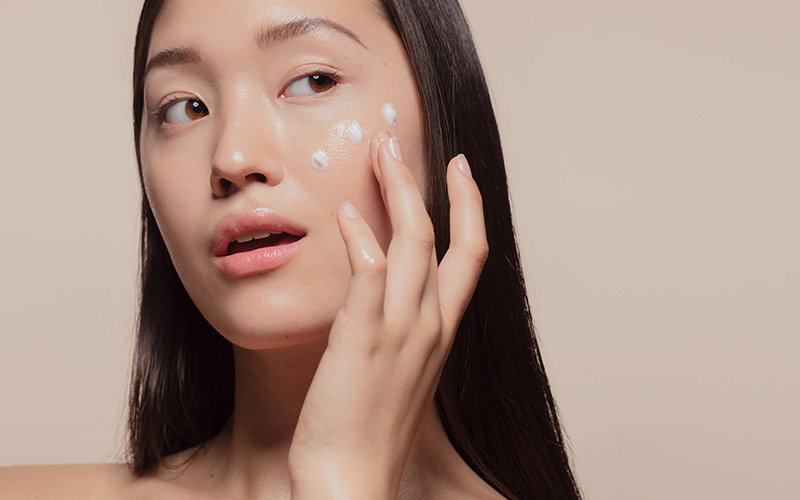 Salicylic acid does not affect sebum production. Unfortunately, it does not kill bacteria. Be cautious as salicylic acid can dry up your skin if you over apply it. Benzoyl Peroxideis best for treating blackheads. This treatment works by killing the bacteria. It does not affect oil production. Again be cautious, as a more concentrated form of benzoyl peroxide will be harder on your skin. Sulfur is an active ingredient found in some cleansers. It is useful for drying up pus-filled acne and whiteheads. Tea Tree Oil can be an impressive treatment for speeding up the healing process, and it is said is may lessen the appearances of acne scars. CBD Oil is a proven anti-inflammatory and has been used as an alternative for conventional acne treatments. This oil is derived from the seeds of the cannabis plant, but doesn’t contain the chemical compound which is responsible for cannabis’s infamous ‘high’. Due to its apparent lack of side effects, it is ideal for sensitive skin. Acne is a common problem for many. It may lower self-confidence, but being upset about acne won’t solve it. Look on the brighter side of the things: a treatment is out there waiting for you. There are a lot of things to consider when purchasing a facial wash. Some products will work for others and not for you and vise versa. You may benefit from consulting with your doctor or dermatologist on what treatment is best suited to you.